Practice Area: Driving range, putting and chipping area. 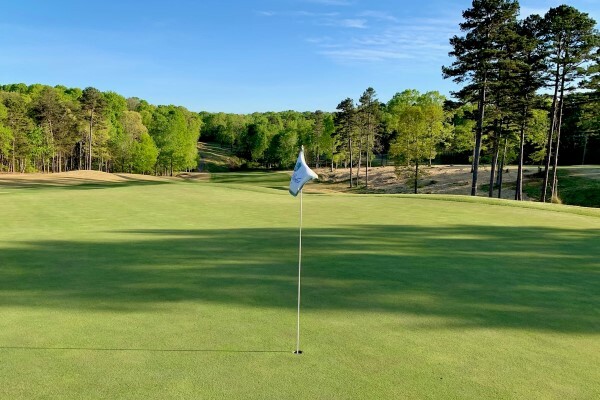 Description: About an hour's drive north of Charlotte, River Oaks Golf Club is set in a pristine wildlife area marked by a rolling topography, heavy tree cover and meandering streams. Renovations on the old course layout were extensive and the new championship layout takes full advantage of nature's splendor. It promises to be an enjoyable, scenic Stateville golf adventure with plenty of golf risk and reward for all levels of play. Notes: In August 2006, golf course architect Ed Carton directed a multi-million dollar tee to green renovation of the golf course. It reopened for play in May 2007. 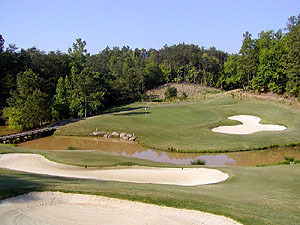 B-Man's Take: One of the few courses listed here that I have not yet played. Superintendent's Blog - The golf superintendent regular posts on current course conditions and maintenance plans, with pictures. Facebook Page - Since the course no longer has an official website, try their Facebook page.